What are your preferences for the window coverings in your home? If you are searching for good products to install, then the first step is to choose a contractor you can trust. At McNeill Palm, we provided everything that you need, including window shades, coverings, and shutters in Alys Beach, FL. When you visit our showroom, you can find a range of options to meet your preferences. Our goal is to help you create a custom home that you love. Not only do we offer the best products in the industry, but these options can be designed to create the home of your dreams. There are several reasons why you should hire a local contractor to assist with your window coverings. First, you can look for recommendations from people that you trust. Talk to friends and family and lean on the suggestions that are offered by those who have recently replaced the products in their homes. Ask questions about the styles and colors that they prefer. These conversations can be great to help you learn more about the trends in the industry right now. Also, a local contractor will have connections with the best places to source the products in the area. Our team at McNeill Palm has worked hard to build quality relationships with other businesses. We’ve also built an in-house team of installation experts to offer optimal results for every customer. Hunter Douglas Window Coverings: High-quality products that are built with durability in mind. Not only can you expect exceptional materials and designs, but these window coverings are built with timeless, classic styles that will look great for years. Also, talk to our team about the trendy options that are available if you would like to create a fashion-forward home. Custom Window Draperies, Shades, and Shutters: When you are choosing new window coverings for your home it makes sense that you should custom-design the products that are installed. We offer a range of custom solutions to give you every option that might be desired for your family. Motorized Draperies, Shades, Shutters, and Awnings: These motorized solutions make it easy to cover and uncover the windows without the manual labor. With the push of a button, you can control the movement of the coverings. Motorized Hurricane Screens, Shades, and Shutters: When a storm rolls through the area, you need to be sure that your family is prepared with quality hurricane products. These screens, shutters, and shades can be motorized to make it easy to prepare your home before the hurricane blows inland. In addition to the products mentioned above, you can also call our team at McNeill Palm if you need repair work for your windows. We specialize in Hunter Douglas repairs to ensure the long-term performance of the window coverings in your home. What aspects need to be considered when you are designing custom windows for your property? You are welcome to talk to our experienced designers for custom recommendations. We can visit your home, compare the other colors and features, and help you with the overall design of these new products. We’ll discuss the options that need to be considered, including window shades, coverings, and shutters in Alys Beach, FL. When you choose our team, you can rest assured in knowing that we always offer the leading products in the industry. We’ve built a solid reputation over the years. Our goal is to maintain this reputation with consistency and excellent customer service. We’re here to answer your questions, guide your decisions, and help with anything that you need in the industry. You’ll be glad that you chose our team when you see the affordable solutions that are available for installation. We want to help with the management of your budget. At the same time, we never sacrifice the quality of work that is offered during installation. We invite you to discuss your preferences with us so that we can help you create a home that you will love. 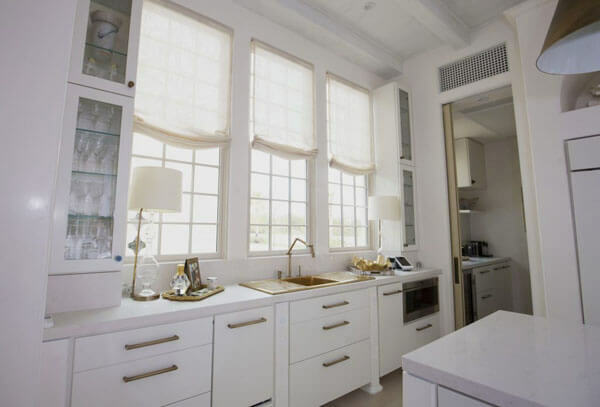 What are your questions about window shades, coverings, and shutters in Alys Beach, FL? If you are interested in learning about the industry, then we invite you to have a conversation with our team. You’ll see that McNeill Palm is one of the leading providers of these products in the area. Visit our location at 1191 N Eglin Pkwy Ste C, Shalimar, FL 32579. Or, call if you would like more information: (850) 613-6228. We’re here to help with anything that you need.